So you want to be a sniper? Join me and some of my like-minded friends for a 3 Day Urban Sniper course that will be sure to change your perspective on sniping. In this course, we will train you to adjust your lens in the way you view the urban landscape, a perspective even most experienced shooters wouldn’t consider. The course is fast paced and includes material to be studied nightly, due to minimal amounts of classroom time. 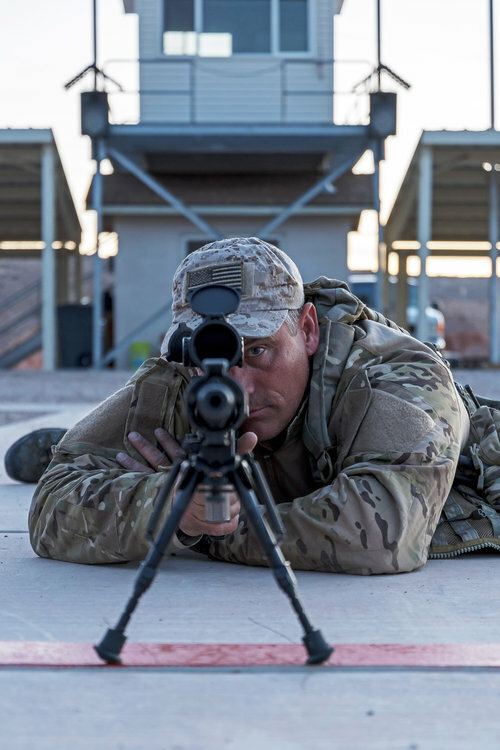 The majority of your time will be spent on the range conducting live fire and practical application with weapons, ammo, and equipment used by real snipers. Your daily itinerary will include a meet and greet at 0730 daily at the Pro Gun Clubhouse in Boulder City, Nevada. You will be briefed on the present day’s activities. Immediately following the daily briefing, we will transfer to the classroom to review some basic housekeeping rules before heading to the shooting range where you will begin conducting live fire shooting. By noon your class will be ready to break for lunch, which will be catered and brought to you on location. Following lunch, you will be participating in live fire scenarios an urban sniper faces including a hostage situation, an active shooter, urban overwatch, counter sniper activity and more. Upon completion, we’ll conduct a debrief and secure for the day. Once the course is complete, you will receive a course certificate to accompany the vast amount of knowledge & skill achieved from this 3-day intensive course.